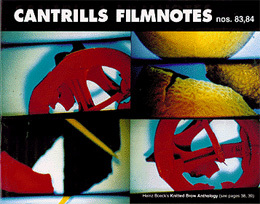 Arthur and Corinne Cantrill have been making films since 1960; at first documentaries on art, then experimental film since 1969; and they edited and published Cantrills Filmnotes, a journal on film and video art, from 1971 to 2000. Their filmwork and publishing is well-known internationally: they are represented in several film collections including those of The Royal Film Archive of Belgium, Freunde der Deutschen Kinemathek (Berlin), Deutsches Filmmuseum (Frankfurt), Mus√©e national d'art moderne (Centre Georges Pompidou, Paris), New York Museum of Modern Art, PR√âA (Avignon), The British Council, and the National Library of Australia. Their films have been shown at the Centre Pompidou and The Louvre in Paris, the New York Museum of Modern Art, as well as other art museums and film festivals. 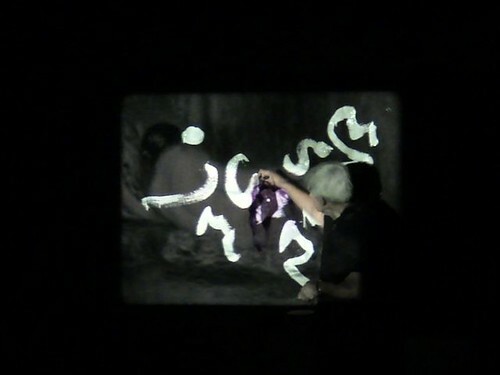 Arthur Cantrill has given lectures on 19th Century Proto-Cinema, Len Lye, Colour in Cinema etc. at Deutsches Filmmuseum in Frankfurt, Kino Arsenal in Berlin, The National Library of Australia, ScreenSound Australia and other places. Arthur Cantrill recently retired as Associate Professor of Media Arts in the School of Creative Arts, University of Melbourne, and now holds the emeritus position of Senior Associate there.